Some council members are asking how much is too much when it comes to bringing a new office tower and parking garage downtown. KANSAS CITY, Mo. 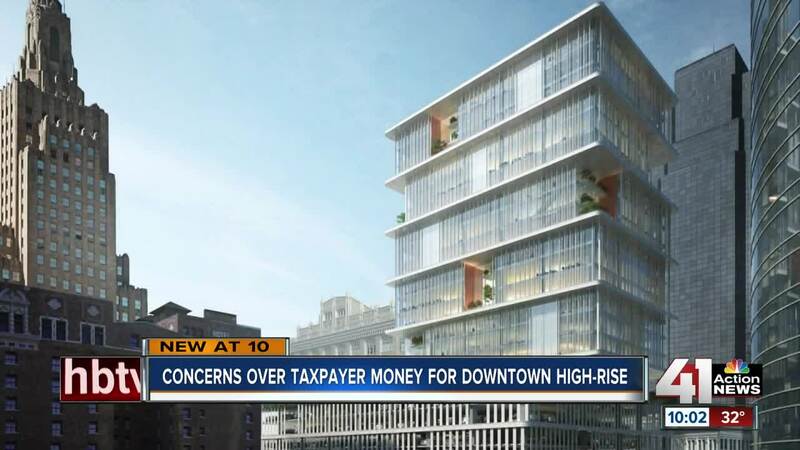 — Some council members are asking how much is too much when it comes to bringing a new office tower and parking garage downtown. “A question that I have asked and a question that my colleagues have asked as well is how many more garages are we going to build?” said Councilman Quinton Lucas. A new office tower and parking garage in the heart of downtown. A decade old deal for the Power and Light District requires the city to fund parking garages for new buildings. “I know the normal person watching 41 Action News is saying, 'I pay 100 percent of the taxes, why is it that someone may not be or getting a level of subsidy?'" said Lucas. Councilman Lucas said there must be a balance. The current price tag for the city is $30 million for the parking garage and another $30 million in investments. “Honestly, we do need some more parking but paying for it, that’s another story,” said Lindsey Murphy who lives Downtown. We asked people who live downtown one question - is the investment worth it? “That is tough, I don’t know,” said Murphy. “I understand sometimes there has to be an investment. I really like what has happened, I liked what Mayor Barnes did to start that. I guess the jury is out for me on that question right now,” said Mark Sappington. Lucas said he is for bringing more office space and jobs. The parking garage would have 750 spots and be open to the public on nights and weekends. Lucas said he just wants to make sure the city is benefiting. “Part of the project is a negotiation of if we can get money to the KC school district earlier, because there are serious things that we do with the taxes people pay,” said Lucas.